The body of a new born baby girl has been discovered in a wheelie bin in a North Yorkshire town. A member of the public discovered the baby’s body in the bin in a communal waste area on Whitcliffe Grange at 2.40pm yesterday (Monday). Paramedics rushed to the scene but the baby could not be revived and was pronounced dead, according to North Yorkshire Police. Officers have now issued an urgent appeal to find the baby’s mother. 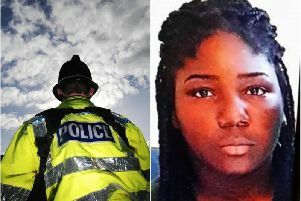 Inspector Mark Gee, of Richmond Safer Neighbourhood Team, said: “Enquiries are at a very early stage and our primary concern is to locate the mother of the new born baby girl to ensure that she receives urgent medical care. “It is highly likely that the mother is in a very distressed state and needs professional support. One resident on Whitcliffe Grange, who did not want to be named, said the wheelie bin was in a fenced-off area behind her house. She said: “As far as I know someone has gone out to the bins and come across a sports bag of some description, and the baby was in the bag. Last year West Yorkshire Police investigated cases where the bodies of two babies were found at a waste management plant in Bradford two years apart. A baby boy was found at the Associated Waste Management plant in Shipley, West Yorkshire in September 2013 and a baby girl was found in bin liners at the same site in May 2011. Anyone with information should contact North Yorkshire Police on 101, select option 1, and pass the information to the Force Control Room. Quote incident number NYP-01122014-0234.